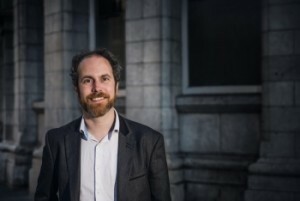 The Green Party in Cork have called on the two local authorities in Cork to follow Galway City Council in exploring ways to limit election posters. On Monday, Galway City Council voted to develop a law that would prohibit election posters in the city, with the motion noting the environmental impact that election posters have. The council agreed to investigate providing designated areas for candidates to promote their campaigns and erect posters or election material. Designated locations are common in other countries such as the Netherlands, Belgium, and France. In recent years, Tidy Towns Committees in Cork have begun to instigate informal poster bans. The Green Party has called for these to be supported by Cork local authorities and supplemented with single-purpose billboards erected in designated areas with each candidate allocated equal space. “Posters play an important role in signalling to electorate that an election is on. It seems trivial but for most people posters are the first engagement they have with the issues in a referendum or who the candidates are in an election. Anecdotally, they are children’s first experience of politics too. They add to the razzmatazz of an election season. So, while we want to limit the number of posters, we should be mindful not to lose them altogether. An October 2018 study of 1000 people for Claire Byrne Live/Amárach Research found that 77% of respondents supported the ban of posters during election campaigns.